Your source for information about wireless phone coverage in the Reno/Tahoe area. Reno ranks 124th of the most populous 125 metro areas in the United States in testing of overall mobile network performance according to a recent RootMetrics report. Data for the Reno metro area only shows a virtual three-way tie between T-Mobile, Verizon and AT&T for overall network performance. Individual tests of Network Reliability, Call and Text are virtually tied between the 4 major carriers which include Sprint. According to the report Verizon is the Award winner in terms of Network speed and Data, while Sprint falls short of the other 3 carriers in those categories. Now that Reno’s 4 major wireless carriers have launched LTE data coverage, their next update will likely be moving voice traffic to LTE. Here’s an interesting article about Why Networks Want to Move to Voice Over LTE. The Reno Gazette-Journal posted an article recently that lists the current roll-out schedule for the wireless carrier’s 4th generation data network in the Reno area. Bottom line: T-Mobile’s is already active, the other 3 major carriers had no specific timetable. Many people complain about indoor cell phone reception – particularly in their home or office. The major wireless providers have addressed this problem by providing miniature cell sites or “femtocells” to enhance coverage in areas up to approximately 5000 square feet. A recent article on PC World goes in-depth about how to get the best cell phone reception possible with personal femtocells and other devices. 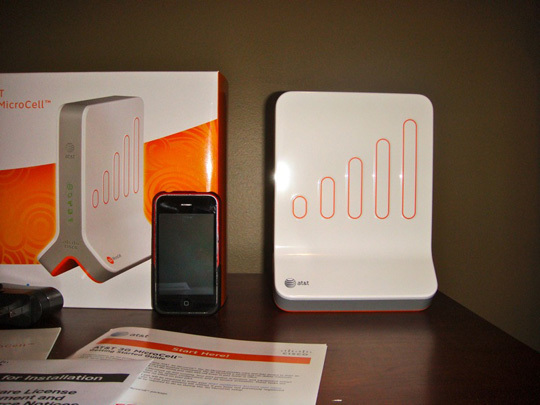 Edit 4/4/10: The AT&T 3G MicroCell will be available for sale in Reno on April 5. See their website for more info. AT&T is expected to make their 3G MicroCell available this month to customers in the Reno area. The device is a femtocell – a small device that connects to a broadband internet connection and improves cell phone reception to a limited area, such as a home. Brian Klug has posted a very detailed article on Anandtech about femtocell’s that are now available through all 4 U.S. major cell carriers. Read the full article here. Sprint has added a cell site which improves coverage between the Floriston and Hirschdale exits. They have co-located antennas at an existing cell site occuppied by Nextel and AT&T. See our maps to view up-to-date cell site locations for all carriers. 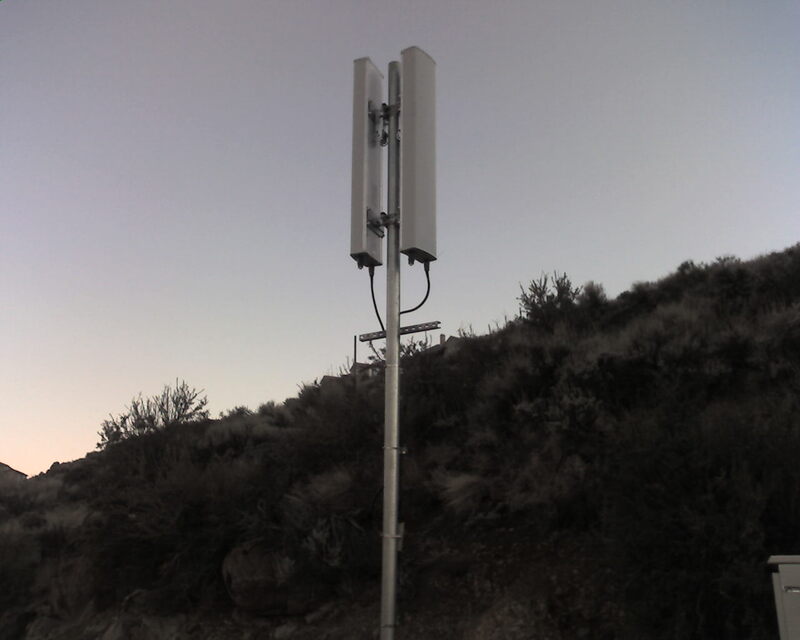 Thanks to a website contributor for pointing out a new Sprint cell site at the Heavenly Ski Resort California Base Lodge. 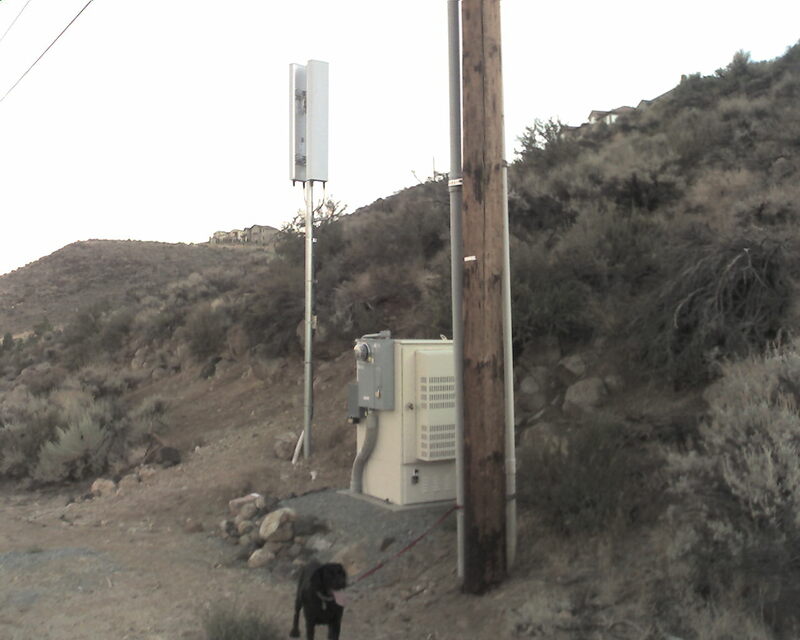 A new Sprint/Nextel cell site in Virginia City was confirmed last weekend. 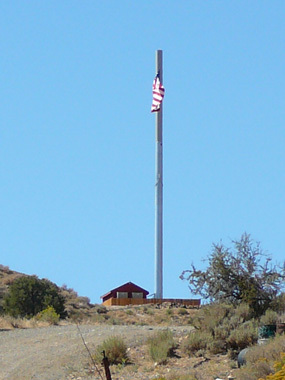 The antennas are disguised in a gray monopole/flag pole on the south end of the city near Gold Hill. I just noticed a recently installed Sprint cell site above McCarran & Skyline in west Reno. This cell site fills a previous dead zone along the busy McCarran Blvd. corridor between Cashill Blvd. and Manzanita Lane. Thanks to a contributor for the pictures. I have just completed the “Dead Zone” pages that lists previously reported dead zone and drop-out areas. More importantly, anyone can now submit their own experiences with dead zones or drop-outs via our online form. See the Dead Zone link at the top of the page. To prevent spam all submissions are moderated, but should appear on the web site within 24 hours. Thank you for your participation. With the help of user reports, hopefully the wireless carriers will act quickly on this information and fill coverage holes where needed. This is a Sprint-Nextel cell site located in Virginia City. Antennas are hidden inside the top of the flagpole. 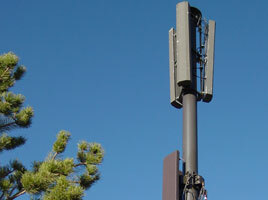 See the Cell Site Picture Gallery to view pictures of over 95 cell sites from the Reno/Tahoe area.